The physical foundation of health is an immune system that functions efficiently and smoothly. This is essential for a robust and healthy child who will be able to resist infections, allergies or any other external conditions – and who will get the most out of life without being hindered by illness. In this post, I will be discussing how to boost kids immune system naturally with 6 amazing herbs that are safe and ideal for them. With the cold spells and dark nights drawing upon us, all manner of cold and flu symptoms are rampant especially if your little one is in nursery/school environment. Let’s face it, kids bugs spread like wild fire! Prevention is key, so now is the best time to treat their immune system naturally and using herbs is a great way to build immunity and resistance. Immunity and resistance building will go a long way in preparing the body for illnesses that could cause problems later in your child’s life. Herbs can harness the body’s natural ability to heal – working along with the immune system, they gently help the body to recover and heal. Every minute of every day, our kids are exposed to millions of germs and disease-producing organisms – bacteria, viruses, fungi and allergens that exist within our environment. 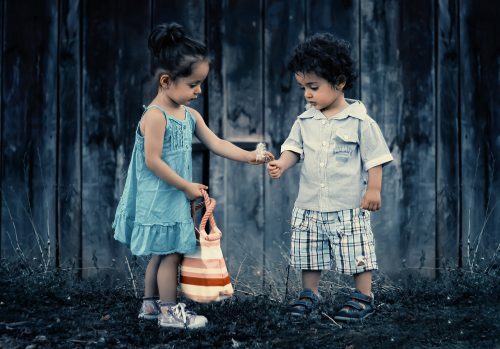 Right from birth, they inherit strategies to deal with them, and collectively, this is called the immune system. This extraordinary piece of engineering is a complex maze of interconnecting systems, organs and cells, often described as an army. They work to fight and protect your child’s body from invaders that don’t belong there. Poor diet and nutritional deficiencies; artificial ingredients in foods/drinks; pollution; numerous vaccinations; lack of breastfeeding; repeated use of antibiotics and other medications in the early years and stress can all cause the immune system to be overloaded and weakened. To prevent germs from entering your child’s body, they have an incredible amount of other intricate mechanisms that form the “first line of defence”. Skin – the largest organ of the body and a very effective barrier against bacteria. It contains high amounts of unsaturated fatty acids which are known to kill bacteria. Also, sweat contains salt which is another protective factor. Eyes – tears are antiseptic and contains large amounts of lysozyme, a substance that destroys bacteria. Nose – contains sticky mucus and tiny hairs to trap organisms – sneezing gets rid of them by force. Mouth – saliva is antiseptic. Stomach – hydrochloric acid kills off germs that are swallowed. Gut – friendly bacteria prevent unwanted intruders and the bowels expels them and toxins too. Bladder – flushes out organisms and toxins through urine and helps to prevent urinary infections. Chest – contains mucus and hairs that trap organisms and pollutants and prevents them invading the lungs – coughing gets rid of them by force. If the invaders do get through this complex first line of defence, then the immune system army kicks in to form the “second line of defence” – at a cellular level. Immunity is built over a period of time. From a young age, a child’s body can become more resistant to infections if they use herbs. Plus, their immune system will become more stronger as these herbs will provide them with much-needed vitamins, minerals and other nourishing and strengthening substances. Not only do herbs have lower side effects when compared to conventional drugs, they also tend to be less potent than drugs; they cost less than drugs used for the same problem and they work to treat and balance the whole body – while drugs treat only one specific problem. Some herbs are particularly beneficial in building a child’s immunity, resistance and strength and these are outlined below. 1. 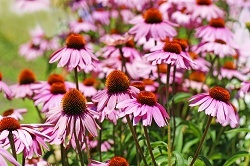 Echinacea – one of the best remedies to help the body rid itself of microbial infections. It’s ideal for kids continually suffering from ear infections, colds and other minor infections due to its antiviral and antibacterial properties. It is well documented and researched and is considered very safe to use, including children. Taken internally, it is effective against viral and bacterial attacks as it boosts the immune system and increases bodily resistance to infection. It is known to decrease the duration of colds; reduces inflammation both internally and externally and enhances overall resistance to illness. Echinacea also acts as a blood purifier – it helps in cleansing the blood and lymphatic system and activates white blood cells and antibodies, which are essential for fighting infections. 2. Chamomile – considered one of the safest plants to use in herbal medicine, especially for children. It’s incredibly versatile and an all-time favourite when it comes to calming anxiety and soothing irritability due to its gentle sedative properties. It also contains anti-inflammatory and antispasmodic actions which can help relieve tension and inflammation in the digestive tract making it ideal for pain and colic and also constipation and diarrhoea. Chamomile’s antibacterial and antiseptic nature can ease colds, flus, aches and pains and other symptoms related with infection or allergy, including eczema. 3. 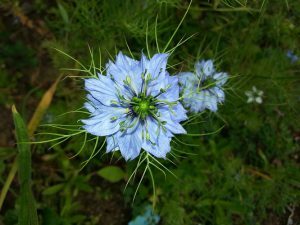 Black Seed – this little unknown plant is slowly gaining popularity in the West due to its treatment for a wide range of ailments. There is no other herb known to work with such a wide range of healing capabilities and it has been prized for centuries by ancient cultures of the Middle East, Africa and parts of Asia. Packed full of vitamins, minerals and other active compounds including Vitamins B1, B2, B3; 15 Amino Acids; Nigellon; Selenium; Calcium; Iron; Potassium and 26 Fatty Acids to name a few. Some of the powerful actions include: antibacterial; anti-fungal; antioxidant; antimicrobial; analgesic and anti-inflammatory. A power house of immune boosting goodness – ideal for kids who get ill regularly. The Black Seed and the oil derived from it is considered safe to take every day as a home remedy for promoting good health and preventing disease, yet powerful enough to treat almost all chronic diseases that is so prevalent in society today. 4. Garlic – another one of nature’s effective antimicrobial plants. Historically, it has long been used as a medicinal herb due to its antiviral, antiseptic, anti-fungal and also its immuno-stimulating actions. The volatile oil is an effective agent and it is largely excreted via the lungs and is useful for respiratory infections, such as, chronic bronchitis, catarrh, colds and influenza. 5. Nettle – another great herb considered safe for kids, as it is one of the most widely applicable plants available to us. It is considered a tonic that helps restore, nourish, strengthen and support the whole body. Definitely one my all time-favourites. It is highly nutritive due to its abundant vitamins and minerals content which makes it an ideal immune booster for anytime of the year. Calcium; Iron; Vitamins A, B, C, K; Proteins; Potassium and Chlorophyll are just some of the many attributes of this humble weed. 6. Astragalus – best to be taken after an illness to help restore immunity. It is used to increase resistance and improve the immune system by producing an antiviral agent called INTERFERON – this stimulates the production of natural antibodies and raises the white blood cell activity to help fight infection. In Traditional Chinese Medicine, it is known as Huang Qi and it is commonly used for nourishing the immune system; strengthening weak digestion and treating chronically weak lungs. Astragalus is used to improve resistance to infections, especially those of the Respiratory System, as well as to reduce a tendency to recurrent illness and allergies. Is This All I Need To Do To Boost My Kids Immune System? In short – No. Herbs are a great way to provide the body with vitamins, minerals and other nourishing and strengthening substances, that in return, can build and strengthen the immune system. A good balanced and organic diet – free from processed sugars, fats, flours and oils; regular exercise; good emotional health; adequate rest and a relatively low-stress lifestyle are also needed to keep our kids (and yours) immune system in top-notch health. We live in age of high-tech gadgets and gizmos that can also have a startling impact on our kids immune system, due to the large amounts of radiation emitted from them. 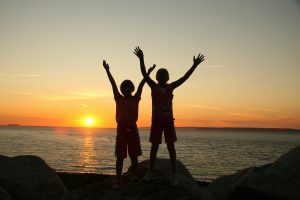 Cutting down on usage and getting plenty of fresh air will also help them gain a healthier and stronger immune system. Have you used any of the herbs mentioned to treat your kids immune system? If so, which ones? Did you find it effective? Have you used other different herbs not mentioned here? I would love to hear your thought and comments on this. Thanks for reading. How to boost kids immune system naturally with 6 amazing herbs that are safe and ideal for them. A healthy immune system equals happy and healthy children. As I’ve now started devoting much of my time with my 3 kids, I’ve been preparing their foods with much garlic, onion and ginger ( knowing the benefits of these ) and they now love eating these with white rice. Though they don’t really eat these when It’s half cooked due to their strong tastes. Tried as well mixing them with my kids’ juice drinks and pouring these with some raw honey but the strong taste still there and my kids can’t smoothly take it . I’d really love hearing from you if there are still other ways to feed these to my kids uncooked or at least half cooked that they could love it just to maximize the benefits of these. Meantime, as I don’t really have time brewing my own tea ( and I just have the ordinary kind ), could you kindly recommend any brand in the market containing at least half or majority of the 6 herbs you mentioned in your article. Thanks really for sharing this post as I found it very HEALTHful! Well appreciated and can’t wait to hear yours soonest. Lol really like your pun! Getting kids to eat garlic, onion or ginger can be really tricky but glad to hear your kids can handle it cooked with rice. I find adding raw garlic to food a few minutes before it’s finished cooking usually works with my son. It’s half cooked but disguised with the other flavours of the dish. Another method I use is adding some raw ginger to some blended fruit juice. Usually at this time of year, I would add apples, oranges, carrots, lime, spinach and some ginger to help boost the immune system. As a busy mother, I know it’s really hard to measure out the herbs mentioned everyday. Unfortunately, I can’t recommend a brand that has all or most of these herbs in but what I can suggest to you, and something I do too as a busy mother – I would measure each dried herb out and put them all in a bottle and shake them up. Each time you want a drink, just measure out a teaspoon or less (dependant on age of child) et voilia! No need to measure each herb separately every time! In the case of Black Seed, I usually take this in the form of an oil on a daily basis. My son also takes it daily too but on the lower strength. I hope this helps and really happy to connect with you. Thank you Teresa for your informational article. I have always noticed how some kids always seem to get sick while others never even get a cold. Now a days, we seem to get a lot more of the sick kids because of the breakdown of the immune system. 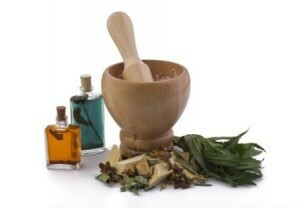 I think that it is very important to feed our immune system with natural herbs as apposed to drugs. It is amazing what the body can do with proper nutrition. I agree. Kids (and adults too) get a lot more sicker these days even though we live in one of the wealthiest nations on the planet! It seems bizarre that with such advancements in science, medicine and modern living, people are suffering more illnesses, allergies and mental health than ever before. I believe it’s absolutely essential to feed the body, mind and soul with more healthy, natural and organic products – and herbs are a great way to boost the body’s nutrients intake and protect from illnesses. Thanks for reading and peace be with you. My grandchildren have recently all been down with the flu bug and you really do feel for them, i think there immune system is pretty low and could really do with a boost. You are right natural is the right way. Sorry to hear your grandchildren have been ill. Now really is the best time to treat their immune system especially if their back at school. I hope you get to try these herbs for them and let me know how it goes. Great and informative article on herbal teas! Reading it made me inspired to go and prepare myself a good old cup of green tea (although it wasn’t featured in this list ^^). I believe that nature has always provided us with everything we need to maintain our health – the only issue is that either people are not aware of this fact or due to long transporting distances and chemicals and also our fast-living-community a lot of vital ingredients are just lost in the process. I’ll be enjoying my cups of tea even more thanks to this lovely article! I absolutely agree with you! Nature has always been a source of all we needed to maintain our health in the past. It’s just unfortunate that in such an advanced nation that we live in, we have become more unhealthy and more sicker due to reliance on Big Pharma to take control of our health. My aim is to spread the love of herbs and empower those to look after themselves more. Love the information in this article, and I’m going to share the link with my daughter. She gets very nervous about my 5 year old grandson and her first instinct is to always head to the doctor no matter what! I’ve been using natural herbs and oil for awhile and we’re both learning a lot about effective and healthy home remedies that work. Thanks for the article! So glad to hear this! Every culture, past and present, has relied on the diverse array of healing plants for their therapeutic and beneficial properties. Plants are the basis upon which all living things depend on. Whether it is directly or indirectly, humankind relies on plants for food, oxygen, clothing, fuel, building materials and of course, medicine. Thanks for stopping by and peace be with you. O wow, what a great read about boosting kid’s immunity by using herbs. This is such a great read, I love every point you have mentioned and will going to forward it to all my friends who have kids and will follow the advises too, thank you so much for sharing this useful information with us. so glad you found the post useful. Treating kids immune system naturally with herbs is such a fantastic way to build their immunity and resistance. Ready to battle any cold weather and bugs going round! This is one of the best post I ‘ve read,with detailed informations.This will go a long way in helping so many families especially mine.My two kids are down with cold since two weeks now,Our Doctor has prescribed an antibiotic which I have given them for 7 days but there is no much improvement.Thank you so much for your informations,I will give it a try. Oh I’m sorry to hear your kids not well Stella. At this time of year all sorts of bugs and viruses are rampant! It’s best to try one herb at a time for a small period to recognize its healing action and how it responds to their bodies before using a different herb. As I’ve mentioned in the post, over-use of antibiotics in the early years can stress and weaken the immune system. I really hope you find the article useful in treating your kids with their cold and would love for you to return and let me know how it goes. Have a blessed week! 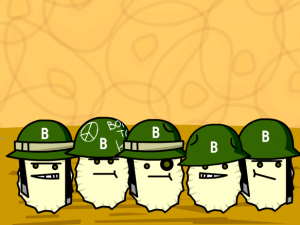 Lovely, informative post with detailed information on our immunity system. I agree to build up our children’s immune system along with ours is critical. Your recommendations for natural herbs over ‘conventional drugs’ is well received on my ends. As you correctly pointed out, drugs many are usually geared towards working on specific problems. Natural herbs, on the other hand, address some immune system issues while offering many nutrients along with a host of associated health benefits. 3 of my many favorites herb and spices are garlic, ginger, and turmeric. I am continually enjoying the aid of my immunity system along with all the other benefits. 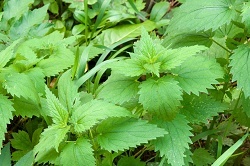 I will be looking forward towards adding Nettle to my list of herbs and spices based on your recommendation. Thank you for the recommendation and for this informative, enjoyable, and revealing article. Well done indeed! so glad you found the post informative. You’re on a winner for your immune system with the herbs that you like. Nettle is one my favourite herbs too – being demoted to a garden weed, it is packed full of nutrients and safe for children and pregnant women alike. Have a great week! I agree with garlic being a great tool to boost the immune system. I’ve used it many times. Really good article and made for a pleasant read 🙂 Melissa. I love garlic!. A good tip I use is to add garlic just before the food is done to maintain the beneficial properties as cooking can destroy the potent actions of garlic. Glad you enjoyed the read. Very good article, thank you for sharing this great information! It is so important to keep yourself and your family strong. My family and I really appreciate this information. I agree and so glad you found the post informative Cezary. Herbs really are fantastic in helping a child’s body become more resistant to infections and I hope you do use some the herbs mentioned for your family. Have a great week! Our children are precious to us and we all want them to be healthy and free of sickness, I am a big believer in herbs for good health and a strong immune system. I do use some of the herbs you mention in your article, I plan to add the ones I don’t use and share your article with my brothers with children right away. You’re absolutely right, our children are precious to us and the best way for them to stay happy and healthy is by looking after the immune system. I’m glad you found the post useful. Enjoy the new year! Thanks for writing the article. I’m a big fan of green tea. My kids always want to take a sip from my cup, but sometimes I’m using a very strong variety (matcha tea), and I worry that maybe they shouldn’t have too much of it because of the caffein. Should we be worried about he caffeine content for kids? Do any of these herbs listed in the article have caffeine in quantities that would affect children between the ages of 5 and 8? I’m a great fan of green tea too! I’m always drinking it when I’m eating my tea and so does my 3 year old. Yes, green tea does contain caffeine, but much less than black tea or coffee and I only give him a small amount even though he loves it. The length of time you brew ( the longer you brew, the stronger the caffeine content) and the brand of green tea you choose will have different and varying caffeine content. The herbs mentioned in the post don’t contain caffeine as they as they don’t come from the camellia sinensis, the actual plant that ALL real or ‘true teas’ are made from. Black tea, Green tea, White tea, Yellow tea and Oolong tea are the most common of ‘true teas’. Hope this helps with your query. Have a great weekend. What a great idea. When I have kids I want them to grow up healthy and strong and the immune system is key for this. There are too many fruit juices which claim to be healthy nowadays but they have too much-processed sugar in them. Tea will be the future. Do you know of any teas that taste sweet for kids? Honey is your best choice to sweeten the herbals teas. It’s a natural sweetener, has anti-bacterial, anti-oxidant and anti-fungal properties which works well with maintaining the health and harmony of your body. Thanks for reading. Herbs are a good way to boost your child’s immune system because herbs are all natural and so you don’t have to worry about your child having any side effects. This is a great post for parents who concern is for their child’s health but is looking for safe ways to boost their child’s immune system. It’s indeed a great article for those who are new to the herbal world like me. I always knew taking medicine might not be able to treat the already weakened immune system, I have been looking for a much more gentle way from the nature. Thank you for such a detailed explanation and introduction to various herbal plants. I have got a few very practical question, what’s the dosage for children and adult? Do you measure the dosage by the amount of herbs or quantity of tea? What would you recommend for the ratio of herbs to water? these are great questions and thanks for asking. – Young’s Rule – Add 12 to the child’s age. Divide the child’s age by this total. For Example: dosage for a 4 year old: 4 divided by 16 (4+12) = .25, or 1/4 of the adult dosage. Please read Tips In Making Herbal Tea for some useful tips to get you started. I hope this answers your questions and I welcome you to the wonders of using herbs to heal the body, mind and soul. Have a great week. Thank you for your reply which is very detailed and informative. This is a great post. I had forgotten what the combined effects of excess sugar, not enough sleep and the pressures of learning at school can do to little children’s bodies. This post was a good reminder about some of the herbs that I already knew, such as Echinacea & chamomile. I had not considered nettle or Astragalus before though. It was good to know that they are options readily available to us. I was just wondering how do you get your kids to take these herbs? Do they take them raw or as a tablet or as a capsule? I would usually use loose herbs on my 3 year old as I worry he might choke on tablets or capsules. Honey normally does the trick to disguise bland or bitter flavoured herbs. Not only is it a natural sweetener, it also has anti-bacterial, anti-oxidant and anti-fungal properties which works well with maintaining the health and harmony of your body. If you decide to use capsules, then its best to remove the powder from the capsule to avoid choking and mix with water or diluted juice. I’m really happy the article has reminded you of the amazing benefits of herbs and their healing powers. Thanks for stopping by. Yes absolutely, these herbs are excellent for adult’s too – you just need a stronger dose. Ideally if you can, make the teas from scratch so you can measure out how much you need. I sometimes mix Echinacea and Nettle together for a extra boost. However, if you can’t, then good quality teabags are ideal and convenient. Happy herbal tea drinking! I’ve always been interested in herbs and natural medicinal remedies, so this article was a great read. I was wondering, are the herbs you mentioned specifically for children, or do they work just as well for adults? Overall, this is a great article with a lot of great information. I don’t have kids, but I’d definitely try out some of the herbs myself. Absolutely, all the mentioned herbs are great for adult immune systems too. You only need to increase the dosage for adults. Because children’s bodies are still young, some herbs can be too strong or stimulating for them, but the herbs in the post are considered very safe for them to use. Thanks for looking. Actually just thinking about the medicinal herbs that you explain my body begins to feel better. I work in the field in direct contact with nature, which I consider my best friend. I want to congratulate you for the well-described description of your post. Thanks for the excellent advice you give us. It is very important to consume herbal tea from children because our immune system will be a real strength over time. Thank you! Thanks so much for your positive comments – I simply love nature and its amazing healing plants. Sharing what I’ve learnt and still learning gives me a real buzz as nothing beats nature and what it can do for the body. Have a great week! Great article on boosting the immune system. Growing up, I’ve always been constantly getting sick. As I grew older, my immune system got a little better, but that’s because my mom would always force me to drink nasty herbal tea. My cousin is also in the same shoe, but his mother is not very informative about herbal tea to better his immune system. 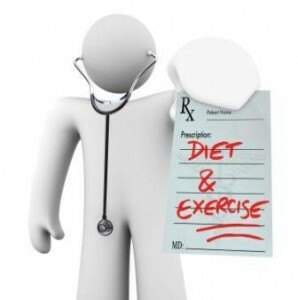 This is a very detailed article and will definitely benefit those who are looking for ways to improve their overall health on a budget. I think with using herbs it’s best to start from a young age, otherwise forcing a child when they’re older may put them off for a long time! I’m happy you found the post useful as all the herbs mentioned can also benefit the adult immune system too. My little ones are often down with flu and fever and despite all the commercial multivitamins, they seems to take a long time to recover. I’ve thought of using more natural ingredients, but it’s difficult to coax them to consume something like garlic that has a strong taste or chamomile that’s somewhat bland in flavor. Do you have any tips for that? Thank you. thanks for stopping by. Usually honey does the trick to disguise bland or bitter flavoured herbs. Not only is it a natural sweetener, it also has anti-bacterial, anti-oxidant and anti-fungal properties which works well with maintaining the health and harmony of your body. All the herbs mentioned except for Garlic can be taken this way. Garlic is best to take it in its natural and raw form – for example, it can lightly cooked by adding some at the end of cooking a meal or maybe mixed into your child’s favourite food. If you decide to use capsules, then its best to remove the powder from the capsule to avoid choking and mix with water or diluted juice.